Image: Unattributed at original source; taken from SCP-1780. An investigation by the Department of Temporal Anomalies is currently ongoing, as is archeological and paleontological work on SCP-4003. SCP-711 is a device assembled from several highly-modified [DATA REDACTED] high-energy physics equipment. Its primary function [DATA EXPUNGED]: in short, it is capable of sending data into its past and of receiving data from its future. SCP-2317 is a primeval entity known as "The ████████ ████, Devourer of Worlds" (name redacted intentionally). SCP-2845 is capable of instantaneous transmutation and reconstruction of matter. Special Containment Procedures: As SCP-3797 does not yet exist, it does not require containment. The Temporal Anomalies Department is to build SCP-3797. They are permitted to use other SCP objects and temporal anomalies in this process, with O5 approval. Once SCP-3797 has been constructed, it is to be used once, in order to terminate SCP-3797-ARC on 0742 UTC 06/13/2015. It is then to be dismantled. Description: SCP-3797 will be a retrocausal weapon capable of terminating a target at a date in the relative past of activation. SCP-3797 will be used at least one time, at an indeterminate date in the future, to terminate SCP-3797-ARC at 0742 UTC 06/13/2015. It is currently unknown how SCP-3797 will function. SCP-3797-ARC was an apex-tier pluripotent entity. SCP-3797-ARC possessed near-omniscience, but did not possess precognitive abilities. For more information gathered from SCP-3797-ARC's dormant state, see SCP-3797-ARC's main file. At 0739 UTC 06/13/2015, SCP-3797-ARC awakened, as predicted, and began to initiate a CK-Class Restructuring Scenario. Termination was authorized in order to prevent such an event. MTF Omega-9 ("The Scrubs") and MTF Omega-12 ("Achilles Heels") attempted to terminate SCP-3797-ARC, but all such efforts were prevented by SCP-3797-ARC's reality-altering capabilities. The insignia of the Temporal Anomalies Department. 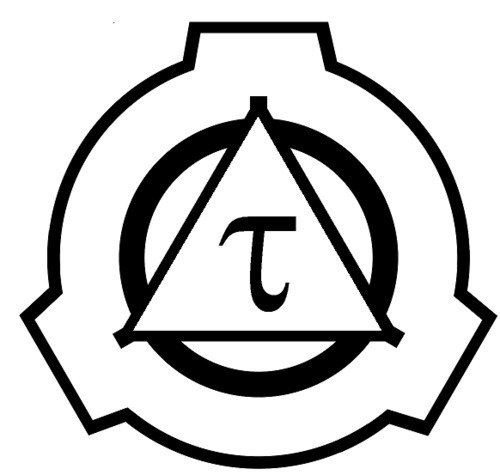 At 0742 UTC 06/13/2015, several hundred instances of the Temporal Anomalies Department insignia appeared upon SCP-3797-ARC. Five seconds later, all of SCP-3797-ARC's flesh disintegrated. 72 further instances of the Temporal Anomalies Department insignia were discovered on the ground surrounding the previous location of SCP-3797-ARC. At this time, sensors employed by the Temporal Anomalies Department detected a high-energy temporal displacement originating from the future. The current prediction of future events is that the Temporal Anomalies Department will have been able to neutralize SCP-3797-ARC by placing the cause of its death after its death, preventing it from knowing of its termination and using its anomalous capabilities to prevent such an event.